With craft hard ciders gaining popularity every year, there’s a whole barrel-full of cider-tasting events, festivals, tours, and tap takeovers to make it easy to taste what’s new in the cider world. 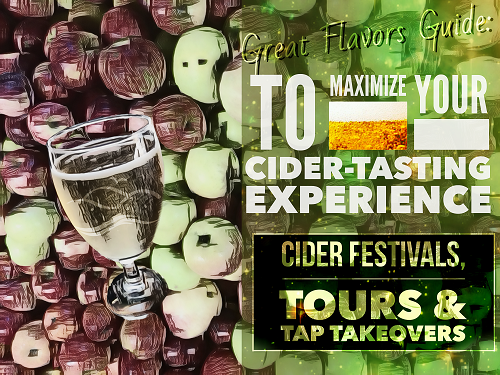 But with so many events, and so many ciders at each event to choose from, how do you maximize your time and enjoyment? As fellow cider aficionados, we’re here to help. It’s easy to have fun at a cider-tasting event, right? Simply take your tasting glass from booth to booth and taste every cider. Not so fast. By taking a little time to prepare, you may enjoy your cider-centric experience even more. Most cider events have at least a dozen cider producers who will be pouring. And each likely will be pouring more than one cider. That’s a whole lotta cider. So many ciders… so little time. Take time to plan your cider event tasting strategy to ensure you taste the ciders you’re thirsting to try. As adept as we know you are at sampling ciders, it’s possible you’ll run out of time (or ability) to sample all the ciders at all the booths. So to really enjoy the flavors, check out the cider event website and take a look at the vendors who will attending. Jot down your A-List (must try) and B-List (want to try) ciders, and bring the list to the event. As you look through the vendor list, and during the actual event, keep a sense of curiosity. One of the best things about the cider-tasting events is the range of hard ciders available to taste. Take advantage of this broad selection and try a few cider companies you either haven’t heard of or a style you may not be familiar with. Along with curiosity, try to leave your expectations or preconceptions at the entrance. 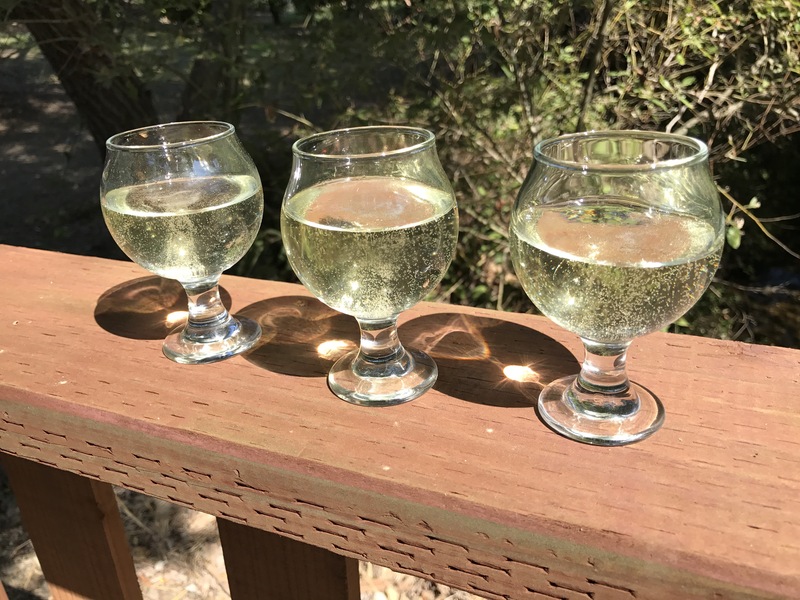 Just like with craft beer and small-production wineries, the joy of craft hard cider is the unique expression each cider maker brings to his or her product. Cider makers are all about the apple. Ask if they have a favorite variety to make their hard cider. Not every cider will be light and carbonated, like many commercially available hard ciders. Makers may use hops in varying amounts, age in different types of barrels, use single-variety apples, use other fruits, capitalize on the natural yeast flavors, or make other decisions to create their unique ciders. That’s part of the fun trying new ciders and developing our cider palates. With a little experimentation, you just may find a new favorite cider. As you get your friends together to attend the event, designate your driver(s) ahead of time. And lavish them with gifts for the sacrifice they will make to get everyone home safely. A day before the event, start hydrating by drinking lots of water—8 oz. every hour. This will help you get hydrated before the event, which will help with both metabolizing cider and dealing with the effects of a possibly hot day at an outdoor event or a room packed with fellow cider lovers. If the event is held outdoors, check the weather the day before and prepare either for unlikely rain showers or the more likely bright sun and warm temperatures. Finally! The cider event is here and you can barely contain yourself. But be patient. The doors will open in just a few hours. 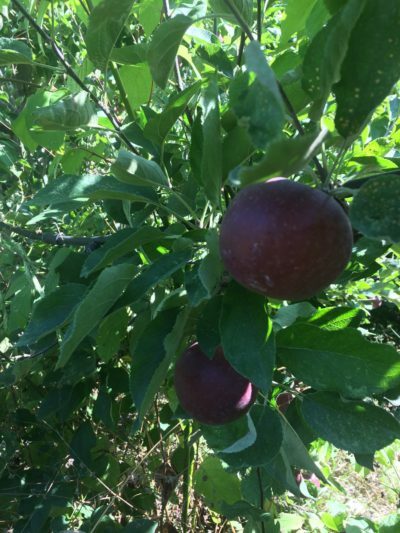 Some hard ciders are made with a single apple variety, like this prized Arkansas Black. Can you taste apple’s characteristics in the finished cider? Depending on when the event begins, eat a substantial breakfast or lunch, or both, before you arrive. Include protein, good fats (like olive oil or avocado), and some complex carbohydrates. This will help you maintain level blood sugar and better metabolize the hard cider you’ll be sampling. After you get your age-verified wristband and tasting glass, the fun begins. Here are few tips to have a blast for the next three or so hours. Remember the A-List you created a few days ago? As you enter the event and survey the rows of producer booths, take a few minutes to review your list and see who’s located where. It’s really tempting to jump right in and start tasting at the first booth, but your patience will pay off by rewarding you with the ciders you came to taste early in the day. In addition to pacing yourself according to the ciders you most want to try, take a couple breaks. Some outdoor events have lawn games, so play a game of corn hole. Listen and dance to the live music. Drink more water. Sit in the shade. If the event is held indoors, take a break and get some fresh air. One of the best things about cider-tasting events is the opportunity to talk with the cider makers and learn more about their process, their passion, and their products. Like any artist, most are excited to share their work and love to talk about the craft. 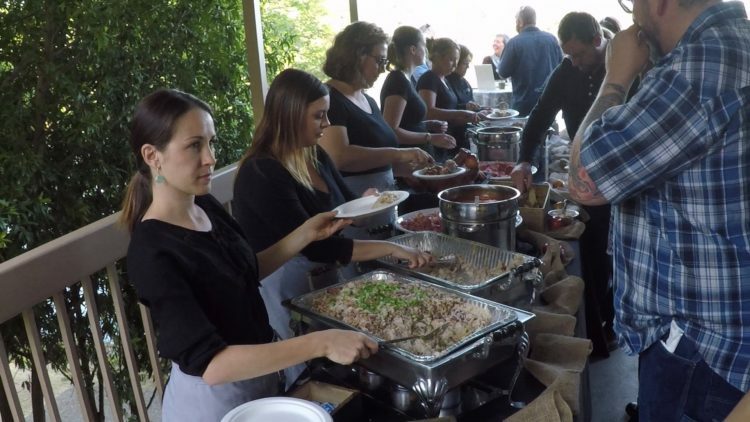 From food trucks to multi-course catered dinners, cider events usually have great food options to keep you going strong. Most cider events include food, whether it’s great local food trucks, a catered dinner, or other options. Take a break about halfway through the event and enjoy a good meal. Find a place to sit down and enjoy good food, talk with people, and take in the vibe of the event. And try to accompany your meal with good old water. Make your plan for the second half of the event. Are you making progress on your A and B lists? Will you revisit a few ciders or try some new ones? Many cider events have a store where you can buy bottles of the ciders you like the most. Your A and B cider lists will help you narrow down your purchases. Be sure to leave enough time to shop, as other cider lovers will be doing the same thing, especially at the end of the event. The next time you open a bottle or can of hard cider, think back to this fun day of tasting, exploring, and learning more about the hard cider world you love. 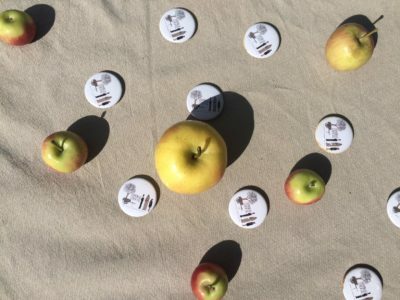 And remember: by attending and enjoying the event, you helped create a successful outcome for the producers and organizers, and you’re helping to keep the craft cider industry strong and growing. So, keep up the good work and keep enjoying the hard cider lifestyle. We’ll see you at the next cider event. Smell the cider. What are the first aromas you get? Floral? Herbal? Earthy? Look at the color. Is it pale, deep, clear, murky? Are there bubbles from carbonation, or is it still? Then taste it. Hold the first sip for about 30 seconds. What do you taste? Do the tastes match the initial aromas? Does the taste change as you hold it? With the next tastes, do you pick up different things? Our mission at Great Flavors is to share with you the best of the Central Coast and help you create your unique journey of discovery through the great flavors—food, cider, wine, activities, events—that surrounds us.